Dubai, UAE, April 12, 2018: Based on the unique SAINT HONORE expertise in the world of watchmaking, the Accessories Collection 2011 is honouring the brand's know-how. A perfect combination of style and innovation, shape and function. Colours and finishes are also unique – in stainless steel, steel, 'Prince de Galle' and 'gaufrette' motifs matt black - with a steel, shock-resistant nib, which produces a particularly successful two-tone effect. 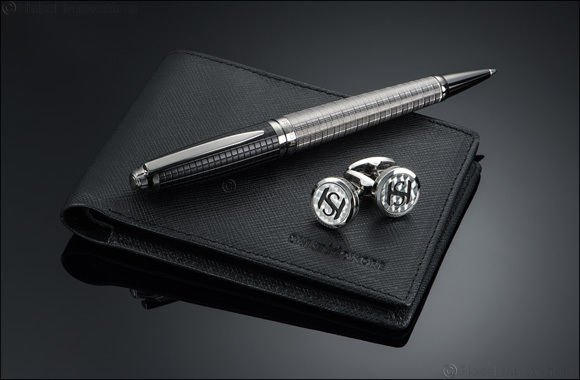 Extra care has been taken with the famous SAINT HONORE cufflinks, with new versions boldly supplementing the new range of leather goods.